CXI Trucking can provide you with a dedicated truck and driver according to your specifications and needs, and painted with your logo. 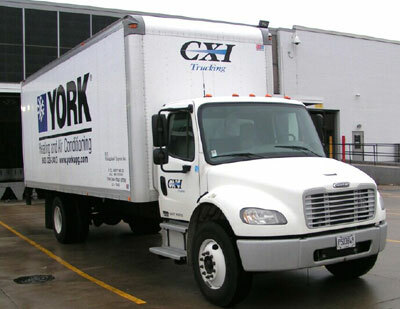 The truck can be garaged either at CXI, or if more convenient, at your own location. There are great advantages to this program for you, the customer. No capital expenditure, no driver hiring hassles, no worries about replacement drivers for vacations, etc., no dealing with D.O.T. and other governmental regulations. We do that for you. Our fleet backs you up for peak periods, and we take care of the truck maintenance as well.